The Rena has moved further on to the Astrolabe reef which has stabilized the vessel and may allow salvage teams time to pump off the remaining oil and diesel fuel on board. The Rena now is listing at 22 degrees to starboard with its starboard railing at or below the waterline. Oil recovery may begin the next day as salvage crews begin to setup equipment. Reports state the team will attempt to empty the largest oil tank of 700 tons then move on to the smaller 350 to 400 ton tank. Some 55 out of the 88 containers have been located or ashore. 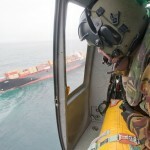 Authorities state that the containers will be collected on Motiti Island. Eleven of the Rena crew have quit and have boarded flights back to the Philippines. This leaves only 6 crewmen behind including the Captain and Second Mate who both have been charged in court. A growing anger towards the crew has started an anti-Filipinos sentiment in the communities impacted by the oil spill. 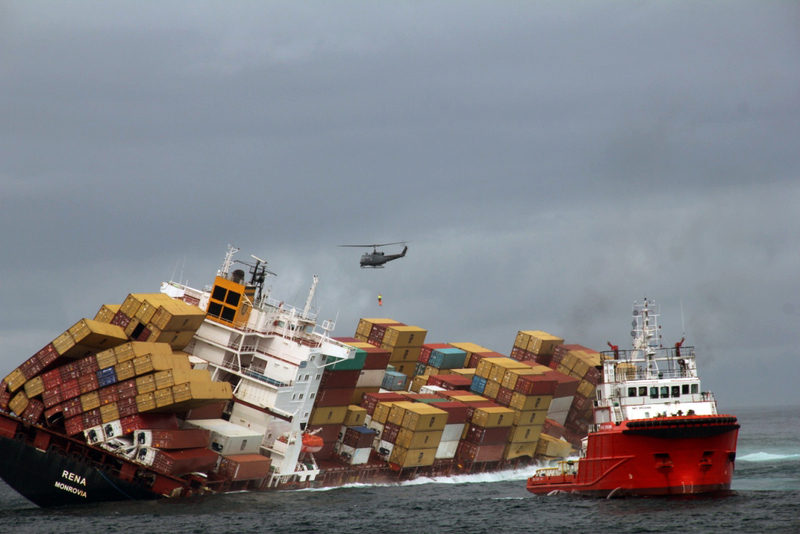 The total number of containers fallen into the sea is up to 88. 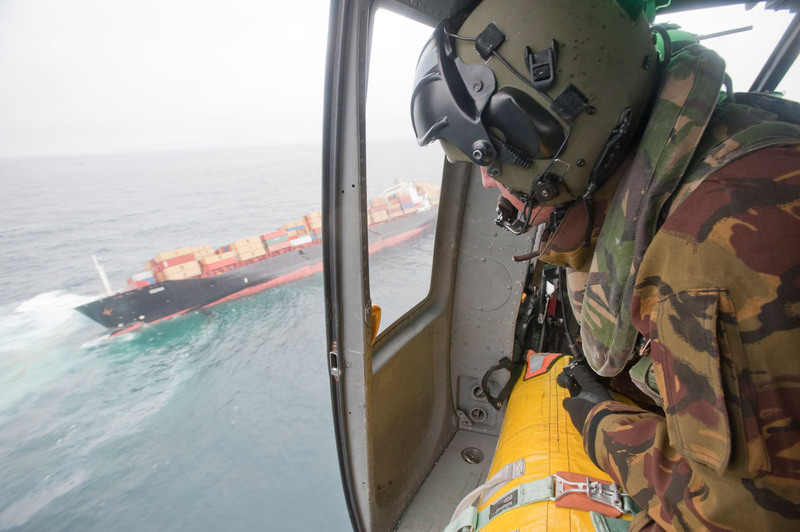 One containing alkyl sulfonic acid has fallen into the sea causing greater concern of the toxic substances on board the Rena. The acid can have a long lasting impact to the environment as it slow to biodegrade. Some 50 tons of solid wastes from the oil spill has been recovered. Over 1500 volunteers are helping in the process. Three tugs are positioned around the stern of the Rena if the ship begins to break up. If the vessel’s stern stays afloat, the tugs could drag the portion of the vessel closer to port to allow more oil to be recovered. 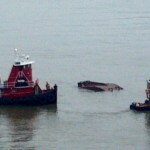 If the vessel capsizes or sinks, there is little the tugs can do. The Rena is now positioned some 20 degrees to starboard and is expected to breakup as the crack in the number three hold widens. 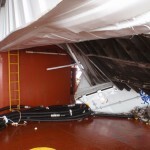 The remaining oil on Rena is located in the stern of the vessel in a watertight compartment. 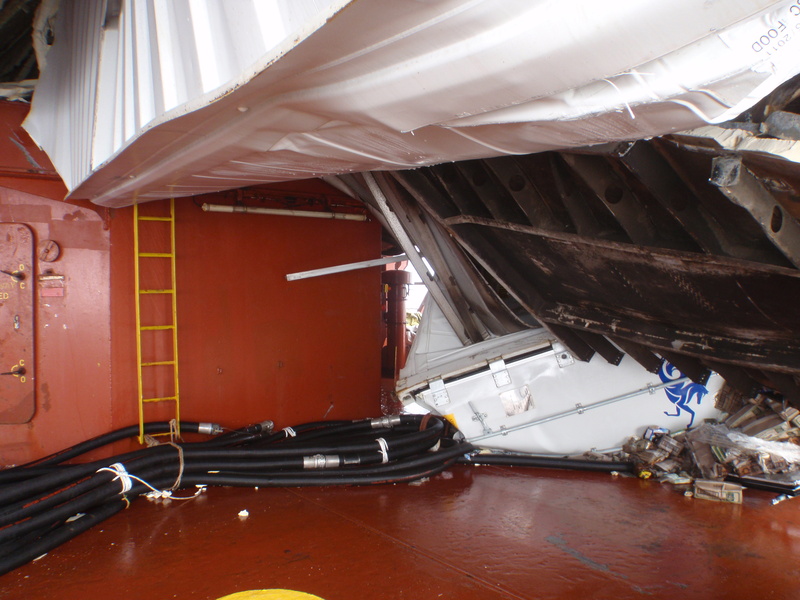 There is some concern that this compartment would split open when the vessel breaks up. 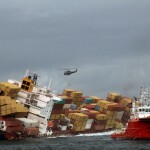 Another concern is the vessel could capsize sending all the containers on deck into the sea. With several containers containing toxic substances, this could pose another risk to the wildlife and environment. 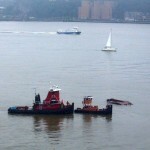 A 31 foot long tugboat capsized on the Hudson River off New York, New York sending one crewman into the water. 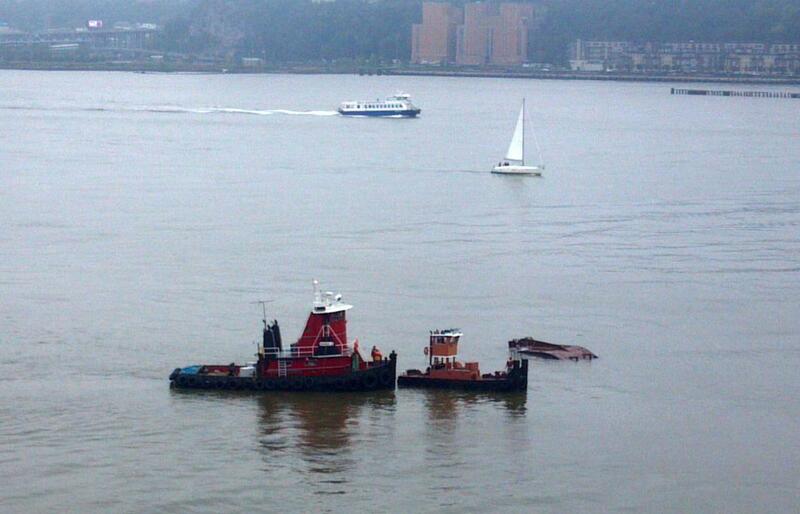 The tugboat was attempting to line up with a work barge when it capsized. 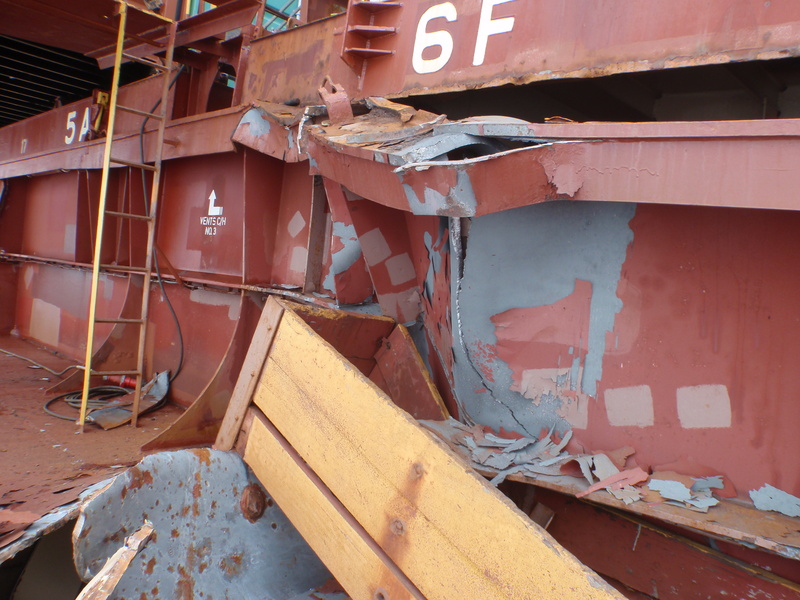 Two crewmen were able to jump onto the work barge while one man was thrown into the water. The crewman was quickly pulled out of the water from another nearby tugboat. 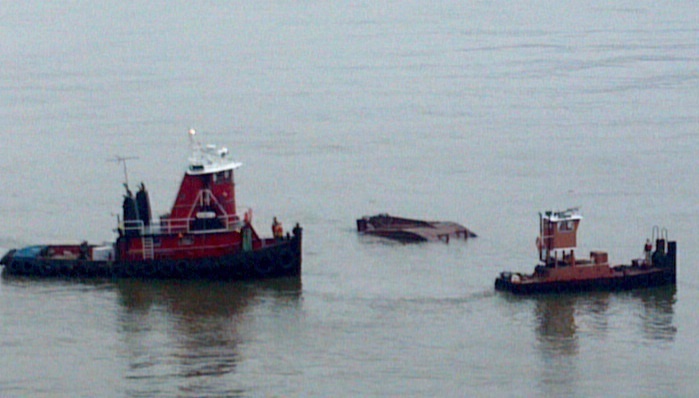 The vessel drifted down river before sinking off Pier 84. The man pulled from the water suffered minor injuries. 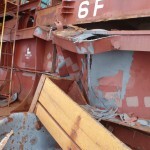 The cause for the vessel to capsize is still unknown. Authorities are conducting an investigation.